So excited to get my first Paper Pumpkin! 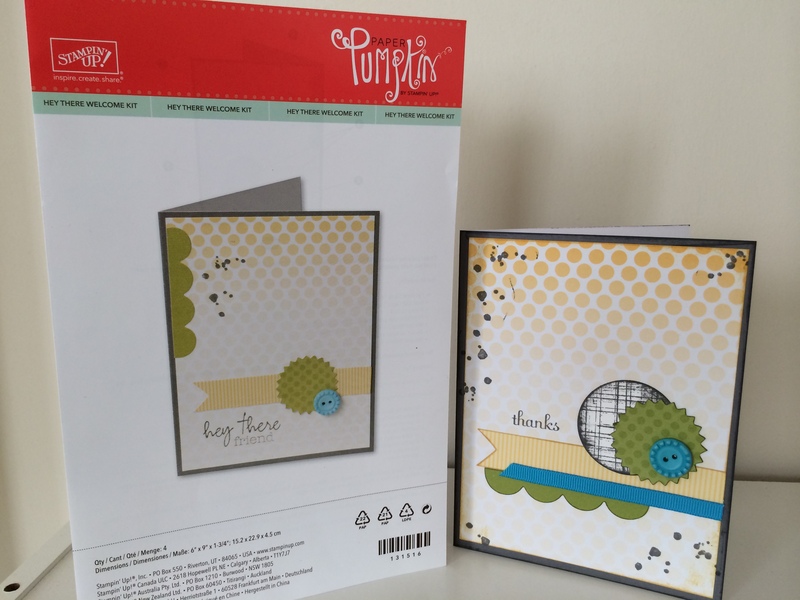 This is a really cute card kit. Yet, I just can’t resist changing it up a bit to “make it my own.” I added a circle with a Gorgeous Grunge background stamp (stamped once horizontally, and once rotated 90 degrees). I moved the scallop border, added some old Turuoise ribbon, and changed the stamped sentiment. There ya go, my own twist on the Paper Pumpkin Intro Kit.